Novel Destinations is a book written for those who truly love literature. For those who step out of their own lives and into the pages, awash in a world they've arrived in. Fortunately, this second edition of Novel Destinations helps people like me...people who ache to return to the haunting Gothic South that they've never physically been to, the cathedrals of Paris that only exist in their mind's eye, and the rowdy Burns Night Supper that lingers on their tongue...revisit and relive these experiences even when the cover is closed. Your passport to literary adventure. Divided into two parts, Novel Destinations offers more than a guidebook could ever dream to. Here's a peek at the both parts, and the sections that lie within. Each section in part one contains a mash-up of destinations to visit for each topic. 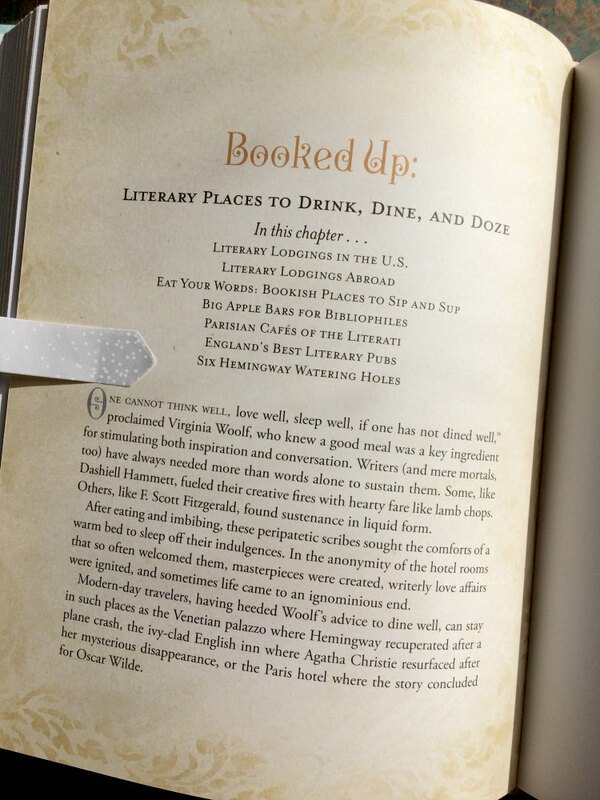 For example, one of my favorite sections is Booked Up: Literary Places to Drink, Dine, and Doze (no surprise there, right? ), includes introductions/write-ups on lodgings, watering holes, pubs, and eateries where some of our favorite authors spent time. 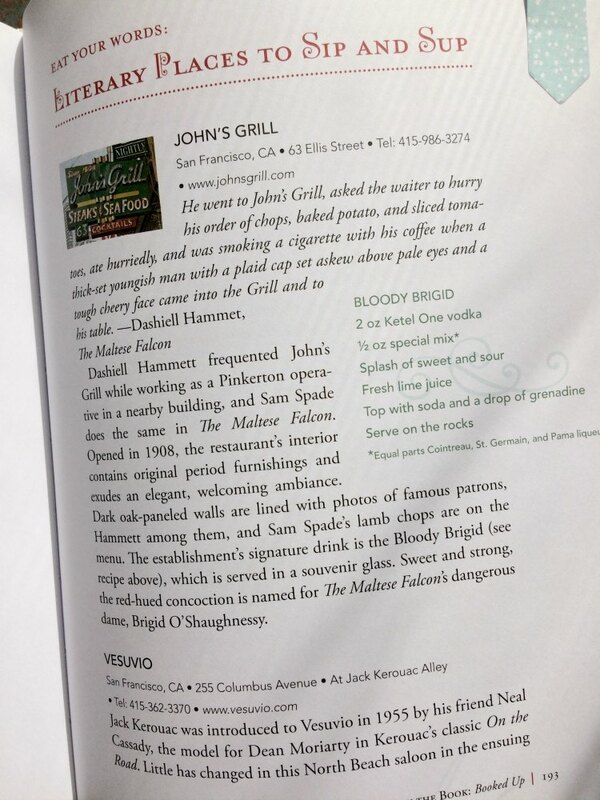 You'll find everything from the Hotel Monteleone in New Orleans where people like Truman Capote, William Faulkner, and Tennessee Williams stayed, to John's Grill in San Francisco the spot Dashiell Hammett frequented while working in a nearby building. The pages of literature come to life in the following 11 locales, immortalized by famed novelists. This part of the book features sections that focus on one specific novelist. It starts by listing some of their works, then dives into why this specific locale is chosen to represent them. After the introduction are listings of places to Drink, Dine, and Doze, places to check out Elsewhere In The Area, and Farther Afield. Within each specific section are additions like Don't Miss (obviously, places you shouldn't miss if you plan a trip to this area), and If You Go (other notable, related places/things to do within a reasonable distance). 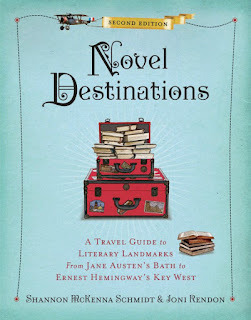 Included in the 11 locales are Jane Austen's Bath (England), James Joyce's Dublin (Ireland), Nathaniel Hawthorne's Salem (Massachusetts), Harper Lee's Monroeville (Alabama), and Ernest Hemingway's Key West (Florida). Overall, this is a super fun book to use in helping plan a literary trip, or just to pour over as an armchair adventurer. I know this might sound silly, but one of my favorite things about the way the book is written is the use of the Oxford comma (thank you!). My one tiny complaint is that everything seems a bit crammed. There's a ton of information, and I would love to have a little extra room on the page to focus on one specific section, maybe even add a few notes of my own. It's minor, and personal preference, I know. That said, the more I read the book, the easier it became for me to mentally separate the sections within. Even if you're not planning on traveling, it's a nifty little background/reference source for some amazing authors. "foodie" read: No, but would be an awesome research book for background when creating recipes from your favorite novels/authors in the book. teaser: Follow in the footsteps of much-loved authors, including Ernest Hemingway, James Joyce, Virginia Woolf, Mark Twain, Jack Kerouac, Jane Austen, and many more. For vacationers who crave meaningful trips and unusual locales, cue National Geographic’s Novel Destinations—a guide for bibliophiles to more than 500 literary sites across the United States and Europe. Check into Hemingway’s favorite hotel in Sun Valley, or stroll about Bath’s Royal Crescent while entertaining fantasies of Lizzie Bennett and her Mr. Darcy. The fully revised second edition includes all of the previous sites—with updated locations—plus color images and an expanded section on all things Brontë. The book begins with thematic chapters covering author houses and museums, literary festivals and walking tours. Then, in-depth explorations of authors and places take readers roaming Franz Kafka’s Prague, James Joyce’s Dublin, Louisa May Alcott’s New England, and other locales. 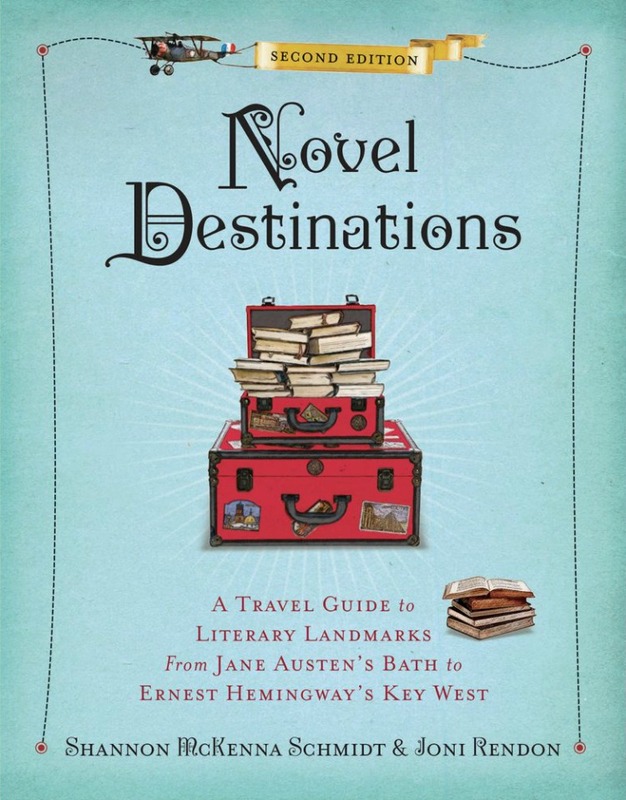 Peppered with great reading suggestions and little-known tales of literary gossip, Novel Destinations is a unique travel guide, an attractive gift book, and the ultimate bibliophile’s delight. about the author: Shannon McKenna Schmidt is the co-author with Joni Rendon of Writers Between the Covers: The Scandalous Romantic Lives of Legendary Literary Casanovas, Coquettes, and Cads. She has written for Arrive, National Geographic Traveler, Shelf Awareness, Gothamist.com, and other publications and websites. A former Hoboken, New Jersey, resident, she is traveling full-time in the United States and abroad.